There's virtue in being in the right place at the right time. The right place in this story was the headquarters of Acoustic Research in Boston, MA, and the right time was just a couple of weeks or so before the subject of this piece was to be shown (but not heard) at a press conference in New York. Even within that short two weeks, the rot started to set in. What I saw (and heard) in Boston on that occasion was a loudspeaker that stakes a reasonable claim on being revolutionary. A rare event that. The project name was The Magic Box and I was hoping that is what it might have been called when it went on sale. The Magic Box does, after all, conjure up an image of something a little special, and it's also easy to remember. So what do AR decide to call their revolutionary new design, their break with the tradition of decades, their statement of intent for the future? You got it, the MGC-1 (footnote 1). Modesty forbids me from explaining that Keith Howard (editor of Hi-Fi Answers) and I were flown across to Boston because they were a little nervous and they knew we would go straight for the jugularwhich is a damn sight less embarrassing than having a roomful of all the best-known US journalists doing the same thing. So I won't. All I'll tell you is that they locked us up in this cupboard they called a room for two solid days with a pair of MGC-1s and a trunk full of amplifiers, letting us out into the fight only for the odd tacos at the local greasy spoon and, one night, a visit to the Boston Symphony Hall, a visit I had made a precondition of coming. At the end of that time, we had a pretty firm impression of what the MGC-1 was all about. AR's pitch is simpler than the voluble press release issued at the New York press conference makes out. 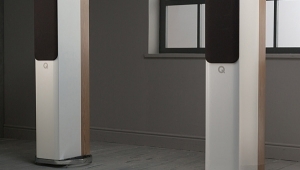 They discussed their old designs, traditionally optimised for a flat in-room power response. 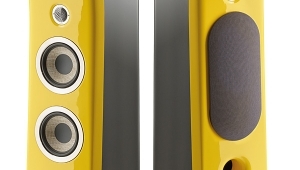 They also referred also to a concept of nondirectional loudspeakers made popular by another Massachusetts manufacturer. In their quite different ways, both approaches were meant to energise the listening room and give some semblance of an acoustic aura around the music. This they both achieved of course, but at considerable cost. Neither type of loudspeaker could be made to produce a flat spectral response in the case of both the direct sound from the speakers and the reverberant field at one and the same time. One or other had to be sacrificed, and in the nature of such things that meant that the music reproduction itself was irrevocably and terminally wrong. But AR also made another observation, perhaps the crucial one, and certainly the one that impressed me most deeply. What happens, they argued, if the reverberant soundfield, or a major part of it, arrives at the listeners ears nearly coincidentally with the direct sound, as must happen in normal rooms with their relatively short reflected path lengths? Simple, the ear cannot distinguish between them, so it jumbles and smears them all together and, hey presto, you get a jumbled, smeared sound. From these observations the design of the MGC-1 flows quite naturally. 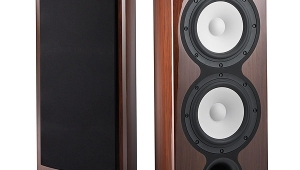 What you want is a pair of loudspeakers that are strongly directional to fire straight at the listener. Forget the bass for a moment; you're on to a loser trying to focus very long wavelengths. 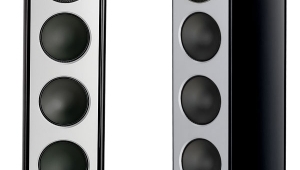 Forget the extreme treble, too, where the sound is going to be pretty directional. But at least make the middle frequencies beam over a controlled narrow arc. 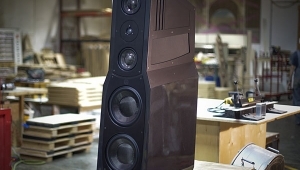 This is best done by suitable high crossover frequencies, fitting sound absorbent materials on the baffle around the drivers, and by making the speaker tall so the drivers in question can be kept well away from the floor, and therefore kept from reflecting off the floor. The other half of the equation is to add some reverberant sound, which if it is bounced off the side walls will give the kind of spread you get in a real concert hall. But, and this is the crucial point, the reflected sound must be delayed just sufficiently that the ear doesn't perceive it as part of the direct sound, but not for so long that it sounds like a discrete echo. An empirically determined 20 milliseconds, more or less, turns out to be the critical value for the time delay, and this is quite simply accomplished by using a bucket brigade delay line feeding power amplifiers that drive the sideways-firing loudspeakers. Put these things together and you have the makings of the MGC-1. But a number of refinements have been added. The indirect sound is band-limited between about 300Hz and about 5kHz, for the reasons given earlier. Also, the spectral balance of the indirect sound is shaped to correspond to what you might expect in real life. Because this sound isn't heard as first arrival sound, and because the ear learns most about sound from the first arrival, this tonal modification doesn't give the colored sound you might expect. 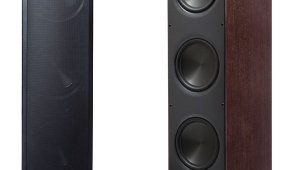 There are other points that could be made about these speakers, but I've covered the main ones. Clearly the idea has a lot of merit, but equally the system is highly complex because there are so many variables. 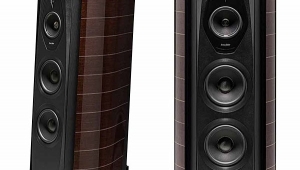 To a large extent, then, the kind of results from this speaker are going to be as dependent on how the design is optimised as on the validity of the original design itself. For my money, though (and that of KHwe were in broad agreement), AR have got it about right. Several things impressed. First looking only at the MGC-1s when used in the conventional forward-facing mode, the sound was a great deal sharper and clearer than any AR model I've heard to date. 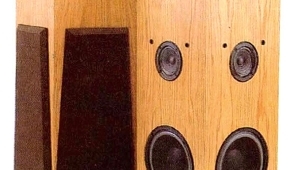 All traces of that old forward, colored, and rather smeared sound (smeared, we are now told, because of poorly controlled directivity through the midband) that we've come to associate with AR loudspeakers in the past has gone. This in itself is going to give some listeners culture shock. What really rattled me, though, was that when the sideways-firing drivers were brought into action, all the inherent precision of the direct sound was retained, whilst a bloom or halo or reverberant sound was added, but in a musically consistent way. Stereo images developed additional width and depth, but remained stable as the music progressed. Different recordings, recorded in different ways, all yielded stereo reproduction which continued to have as much integrity as the original recording allowed. Altering the time delays could introduce anomalies, making the music unpredictable and frequently uncomfortable to listen to. It also made the sound from the system seem more colored and instrumental separation was reduced. Equally persuasive was the additional sense of scale the MGC-1 introduced. Image size was greatly increased and dynamics appeared to happen in a more realistic and unforced way as a result. Very high replay volumes became easy to endure, again a finding that directly parallels the Real World. There were some unexpected effects as well. 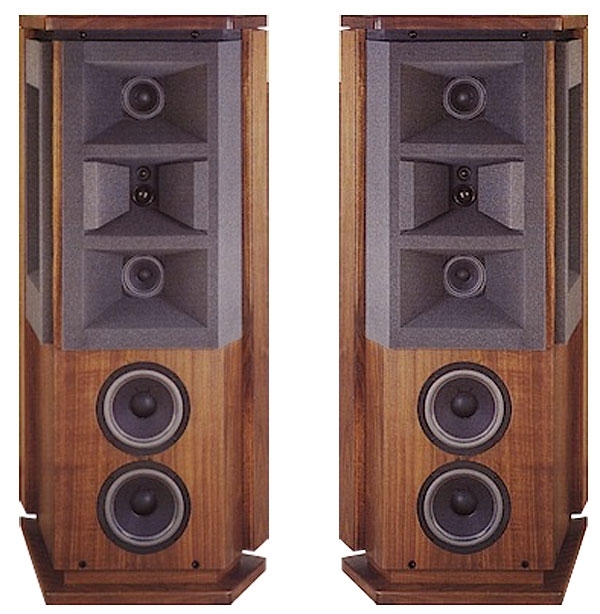 Whilst the engineers were keen on an optimum listening position quite close to the loudspeakers, to my ears the MGC-1 system gave very good stereo in most listening locations. Even near the back wall, or well off to one side. But I was never very happy listening to the system very close up, perhaps because at the time they were a little untidy in certain respects, and listening too closely had the effect of dissecting the sound. One other effect we were not able to resolve was a loss of central image focus using mono signals, but Ken Kantor believed he had the answer to that one and was tackling it as we left. Curiously, though, this had little if any noticeable effect on the reproduction of stereo. We tried a number of alterations to the system whilst we were there. At first they centered on the ancillary equipment, which proved an intractable problem in the end because the system was active (no passive crossovers had been designed at that stage) and too many bits of hardware were involved. 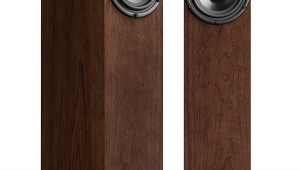 But some headway was made, and this made more sense of the speakers, as did tweaking them to take out some brightness, not to mention pulling them a few inches away from the rear walls. I formed a distinct impression that Acoustic Research is going to have to run to bring its driver and cabinet development programs up to the level demanded by what they've achieved with the MGC-1 so far. The project is a beginning as well as an end. But I don't wish to detract from what AR have achieved. 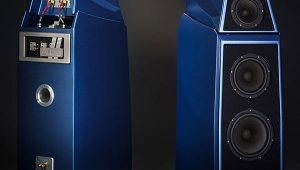 In their direct radiating form the system sounded like a pretty good piece of hi-fi. 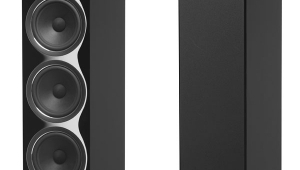 With the indirect sound included they system began to sound rather more like pretty good music. Any purely sonic shortcomings seemed to take something of a back seat, and my instinct tells me that this is because the important jobs at least were being done right. Final assessments must wait until fully finished loudspeakers are shipped sometime this year, but I'm hopeful of something a little special. Footnote 1: The original name of the MGC-1 was the RS-1.Ed. I still have my AR 3a speakers from 1975. Still sound great. 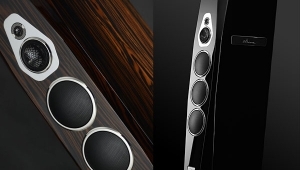 Shades of the Concert Grand SI from ESP Loudspeakers? Even though those were more meant to derive from the Beveridge line source, rather than being a very low dispersion radiator with delayed ambience drivers, there are some similarities in terms of general form factor and how various drivers aim off from the central axis, imo. I like some of the theoretical ideas at work here, and wonder what could be done with a modern implementation. i have Ken's old pair of MGC-1's that i was able to restore with the help of a friend. i couldnt procure a working MGC-1e ambient controller, so i use an HT receiver to drive both driver arrays, using the front arrays as main speakers and the side firing array as surround speakers. i also installed a center speaker and dedicated sub to outfit the system. this works quite well, but i do not employ a delay to the side arrays and instead rely on the receivers dsp abilities to reproduce stereo recordings in a 5.1 mode. 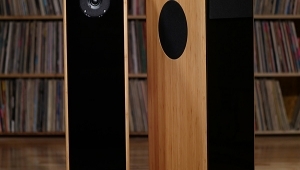 surround recordings are reproduced in true 5.1 with glorious results. i have yet to hear the MGC-1 as they were designed to be used, but my modern version of implementation is jaw-droppingly good.